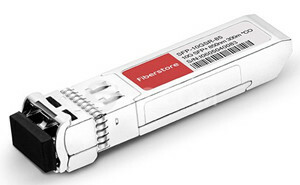 Fiberstore has been providing quality fibre optical cabling and connectivity solutions to datacomm and telecommunication industries to worldwide customers for over ten years. As a specialized fibre optic cables and patch cables manufacturer, we have conducted rigorous quality controls on each manufacture steps, to make sure that all of our fibre optic cables are completely ROHS and REACH compliant. Our fibre optic patch cables are classified to common multimode fibre cables (OM1, OM2, OM3, OM4 patch cables), armoured fibre patch leads, related fibre cables, MTP/MPO trunk cables, multi-core fibre patch leads as well as many other fibre patch leads. This article is set up to mainly introduce the multi-core fibre patch cords. Multi-core fibre patch lead get its name as it is consist of multi core fibre, which also called multimode fibre patch lead. Multi fibre patch lead is most commonly used for trunk cable plant and can be as the distribution or breakout patch cable. We offer the fibre trunk patch cables with SC, LC, FC, ST, MTRJ, MU, E2000 connectors, 2-288 cores/fibres are optional to be customised and the sub-branch can be 0.9 mm and 2.0 mm. For each connector type, like LC, there are LC to FC, LC to SC, LC to ST, LC to MTRJ, LC to MU, LC to E2000, LC to SMA and LC to LC fibre cable, all of which are optically and electrically inspected and tested using accepted industry test procedures as recommended by the most current version of ANSI/TIA-455B standard test procedure for standard fibre optic lead, cables, transducers, sensors, connecting & terminating devices, and other components. We offer custom service for customers with options of any fibre type, any connectors, and lengths and even customer logo and label on fibrepatch leads. Fibre types is selectable from 10G OM3, OM4 optical fibre, single mode 9/125 optical fibre, OM1, OM2 multimode 50/125 fibres. This entry was posted in Fiber Patch Cords and tagged LC, multimode fibre, OM1, OM2, OM3, OM4 on February 3, 2014 by Admin.